Nigeria’s electoral authority Monday said it will take a decision on what to do next about the Imo West Senatorial District controversies. 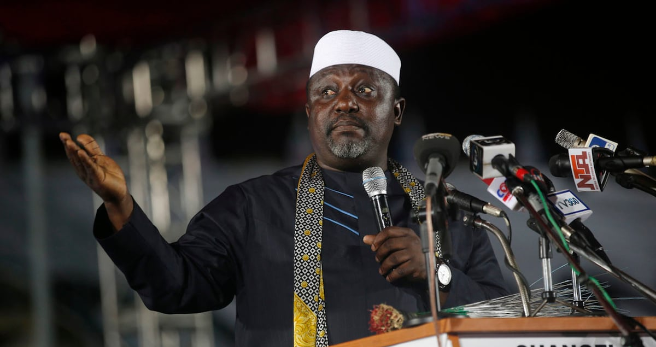 The senatorial district poll conducted alongside the presidential election on February 23, was contested among 37 candidates including Imo State Governor, Rochas Okorocha. Okorocha was declared the winner of the poll by INEC Returning Officer, Professor Ibeawuchi Innocent. He polled 97,762 votes to beat his closest rival Hon Jones Onyereri of PDP who polled 63,117 votes. Innocent, however, said that he declared Okorocha the winner under duress. “I declared this thing before under duress; I’m still under duress declaring this one,” Professor Innocent had said said before reading out the results at the collation centre in February. “I have been held hostage here for days so I’m trying to ease off and take my life home back to my children and for the sake of that I am calling these results under duress,” he added. The governor faulted the allegations and accused the returning officer of acting a script. However, Okorocha’s name was not on the list of those to be given a certificate of return and despite his protests against the decision, he wasn’t given a certificate when other senator-elects got theirs last week.